[8 mins. 8 secs.] On this episode of the podcast, first up is the comedy lead at Kickstarter, Taylor Moore, who discusses the Brooklyn Comedy Film Festival which runs from this evening, Monday, August 21st through next weekend at the Nitehawk Cinema. Every night until Thursday is an outstanding comedy film, followed by a weekend of shorts & brunch events. There are also panels and other terrific Q&A's. Visit the Brooklyn Comedy Festival's website or Nitehawk's website for tickets and more details. [48 mins. 50 secs.] Filmmaker Michael Almereyda has a new film currently screening at the Quad Cinema in NYC called "Marjorie Prime". 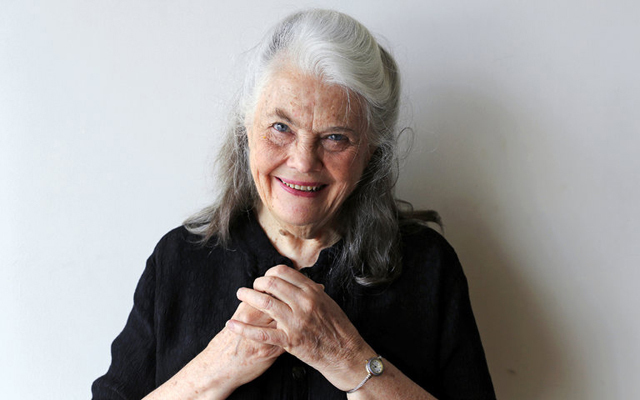 One of the film's stars, the legendary actress Lois Smith (East of Eden, Five Easy Pieces) joins the director in a conversation about the film which was adapted from a play in which Ms. Smith performed in both New York City and Los Angeles productions. The film is being distributed by FilmRise and co-stars Jon Hamm, Geena Davis and Tim Robbins.